an English language test designed specifically for healthcare professionals. proof of English proficiency for registration purposes. accepted by the UK’s Nursing and Midwifery Council and the Nursing and Midwifery Board of Ireland. who have achieved the required level can communicate effectively in their workplace”. countries. For more information go to: www.occupationalenglishtest.org. 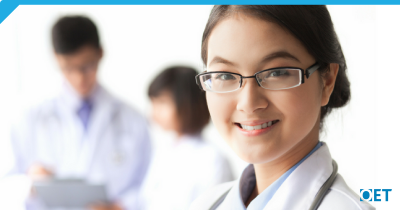 For more information about the GMC English language test requirements for OET, go to: https://www.gmc-uk.org/doctors/registration_applications/routeF.asp. 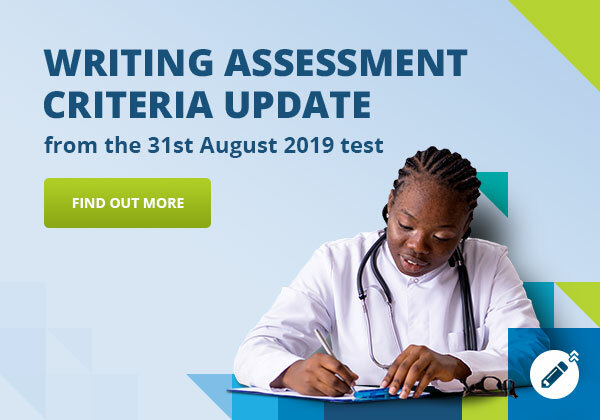 For more information about the MC English language test requirements for OET, go to: https://www.medicalcouncil.ie/Registration-Applications/First-Time-Applicants/English-Language.html.